How do GMOs end up in organic food? The need to label organic foods is obvious in today’s world, however in order to create a labeling system a government must create a set of standards. In 1990, under George H.W. Bush, the United States of America did just that with the Organic Food Production Act. Foods bearing this label could not contain synthetic pesticided herbicides and fungicides, antibiotics, growth hormones, sewage sludge, artificial fertilizers, genetically modified organisms (GMOs) and irradiation. Americans could now easily shop and avoid putting all these contaminants into their bodies. It was all very positive for most but to one group of people this created a problem. To large corporate food producers, non-organic food was an easy way to put cheep (and highly profitable) food onto the market, and in their view, organic food would make non-organic food look undesirable. Local food producers now had an advantage which could not be tolerated, so the corporations scratched their heads and came up with a plan. Their plan was based on two principals: 1. Socially conscience shoppers interested in their health would be willing to pay more for food, 2. 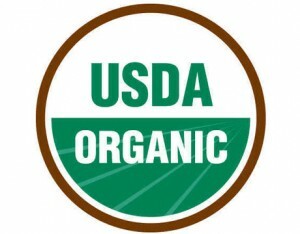 The word organic had a legal definition and legal definitions can be changed. If the corporations could create a social demand for organic food while at the same time changing the definition of what organic legally meant they could actually turn this entire problem into a huge profit for themselves. To no surprise they succeeded. In 2006, the United States government, now under George W. Bush passed the Agricultural Appropriations bill. The argument was made that many non-organic foods tasted the same and offered the same nutrition as their organic counterparts and it was unfair to label them differently. Who were these corporations? Kraft, Dole, Dean Foods/Horizon, Whole Foods Market, Wild Oats, Aurora, Smucker, and General Mills. [ii] Some of these companies should not come as a surprise. Kraft, who is owned by Phillip Morris a leading cigarette producer, most famous product is an instant macaroni and cheese in which the cheese comes in a powered form and turns into “real” cheese once water is added. This product now features the standard produce as well as a higher priced organic version and yes, the cheese is still in powered form. One company on the list that might surprise some people is Whole Foods. Whole Foods is a chain of supermarkets that only sells organic and natural foods. Their involvement in the Agricultural Appropriations bill forces one to question if they are dedicated to the organic food movement, or simply a corporation seeking a profit.